‘He was at a very high risk of sepsis,’ explains community tissue viability nurse specialist Debbie Wickens. The North East London Foundation Trust (NELFT) nurse of 15 years is on her daily rounds and about to visit a man with a diabetic foot ulcer. Full-time Ms Wickens leads a team of three part-time tissue viability nurses, working across the London borough of Havering. About nine months ago the team adopted the ‘agile working programme’, which is expected to save the community and mental health trust about £4 million a year by 2019-20. 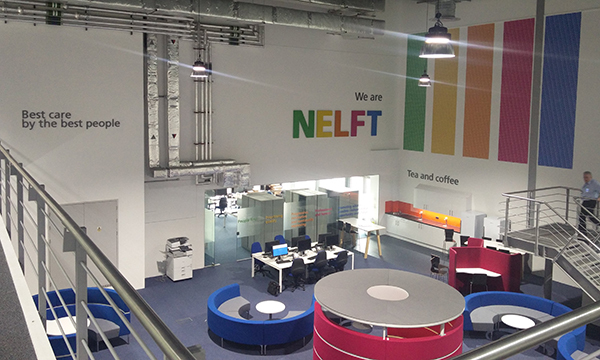 NELFT extends from several London boroughs into Essex and Kent. Currently, it has more than 180 buildings, but the aim is to reduce this number and save money on estates, with staff booking time to hot-desk at different ‘hubs’ in the area. In 2020, the trust aims to sell the Victorian-built Goodmayes Hospital, Ilford, which costs £464,000 a year to maintain and currently contains only offices. The agile working programme has seen about two thirds of the trust’s staff – about 4,000 people – be given laptops and secure, instant communication software called Cisco Jabber. It has removed the need for community nurses to report to a main office first thing in the morning or after appointments, and has improved the accessibility of patient records by using a shared record system. Create a common understanding of what will happen when staff 'go agile' by organising visits to existing agile sites, staff shadowing and engagement sessions. Map out ‘as is’ and ‘to be’ processes. Provide a dedicated IT transition team. Monitor device use through mobile data usage reports so that managers can identify and support users who are struggling to adopt the new methods of working. Coach and support staff in one-to-one sessions. Complete a staff survey after the switch. Ms Wickens, armed with her laptop as she goes about her rounds, pulls into the street of her next patient and explains the background behind the visit. ‘This patient is a very good example of how agile working can help,’ she says. ‘A few weeks ago I had a message from one of our district nurses on Jabber, which is a bit like WhatsApp. Under the agile working programme, nurses can access real-time patient records from anywhere with an internet signal and then update the files immediately, in some cases with photos. Ms Wickens was again contacted through Jabber when the man was discharged from hospital. Ms Wickens thinks the man would probably have lost his foot without the prompt treatment and could even have died from sepsis. Inside the house, a district nurse removes the dressing as Ms Wickens takes out her laptop to load the man’s notes and a picture of the wound. The patient’s partner stays downstairs and, as she says, distracts herself with a cup of tea and some television; she wants to be by her husband’s side but doesn't want to interfere with the nursing care. The district nurse points out the patient’s paintings on the walls to draw his attention away from his foot and he thinks back to when he made them. Once the session is over, Ms Wickens types up some notes, uploads a new picture to the patient’s records and explains to the patient’s wife what has happened. It’s then back in the car and off to Saint Francis Hospice, Romford, for the next patient. On arrival, a doctor is with the patient and, rather than a wait in the corridor, Ms Wickens snatches the opportunity to pull out her laptop and start typing up the assessment from the previous patient. ‘You can make the most of every little moment,’ she says. It’s not long before Ms Wickens is in with the patient and, when she returns, she decides to find a quiet spot in the hospice building to finish writing up all her morning assessments from her notes. These are instantly saved to the NELFT database or, if there is no internet signal, saved on the laptop and uploaded later. ‘One of the jokes in my team used to be my terrible handwriting but, now it is all typed, you can definitely see what I’ve written,’ Ms Wickens explains. ‘The assessment is now available to everybody in the organisation, which for continuity of care is really important,’ she adds. It also means patients do not need to reiterate their symptoms to each specialist they see. ‘Nurses will know previous medications, medical history, capacity assessment; all of that is available. It means things are less likely to be missed and it is a really good way to audit,’ she says. ‘I work on the pressure ulcer prevention working group and we’ve just set up a new electronic report so each team leader can make sure all essential information is completed and reviewed regularly. New agile workers received 90 minutes of training, which include an introduction to the philosophy behind agile working, laptop guidance and how to connect to the trust network when working remotely. Staff were issued with and used devices throughout the training. Refresher training of between 60 and 90 minutes has been used to offer advice on any issues and to check equipment for faults. It also provided an opportunity for staff to fill in questionnaires and give feedback on training. NELFT data suggest that the system has made nurses up to 9% more productive, and helps them to write fuller case notes and spend less time travelling back to a particular base with individual PCs. The important thing, Ms Wickens says, is to build in clinical supervision time and ensure the team still meets regularly. Instead of the possible 40-minute trek to the main office after appointments, Ms Wickens pops into one of NELFT’s four hubs in Havering, making her more accessible and visible to the district nurses. For Ms Wickens, the new, agile way of working is something all care providers should consider. To ensure all staff feel confident with the new technology, NELFT has developed coaching for all abilities and built in training and supervision that lasts between 12 and 16 weeks. The trust has opened ten hubs so far and has a new, purpose-built headquarters in Rainham, Essex, with 76 agile working spaces plus training and meeting rooms. 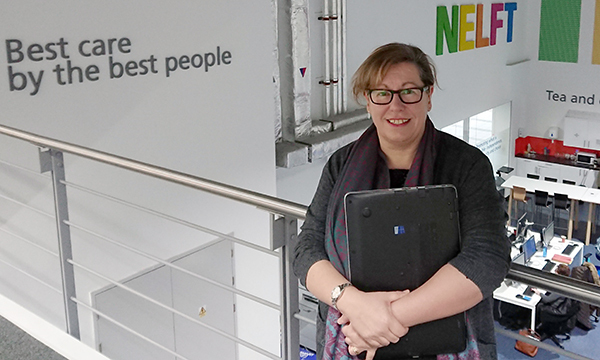 North East London Foundation Trust (NELFT) director of nursing for clinical effectiveness Susan Smyth thinks the move to agile working has been about embracing a cultural change. ‘Shifting to agile working has been a challenge for the nursing teams, but we were really well supported by the agile working IT team, who ensured that staff were happy with their devices before going to see patients. Agile working has required line managers to trust their staff to complete activities without coming into an office. But it has also been important to validate reports on device use and clinical activity to prove the benefits and improve confidence in the system. Ms Smyth says colleagues have spoken of the benefits of typing up notes in patients’ homes as they can check details there and then, rather than interpreting handwritten notes an hour or more later, when they are back at base. ‘We believe we are seeing better patient-led outcomes, and the nurses are getting more time with the patients and getting to see more patients; it’s got to be a win-win situation,’ she adds. 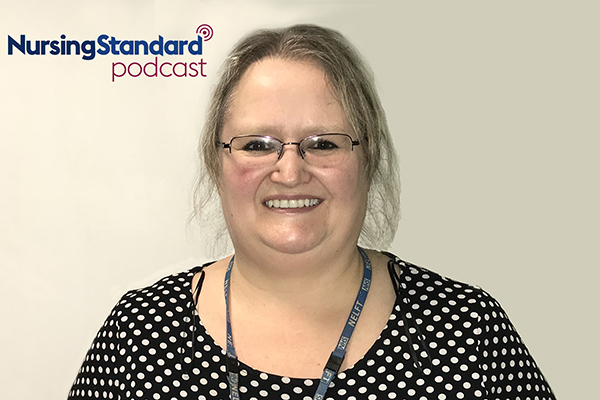 Barking and Dagenham team leader for integrated 0-19 children’s services Cathrine Lund adds that, by having patient-records in front of them, nurses can foster better patient-staff relationships and produce patient-led care plans. What would you do to help a homeless person?